Piriformis muscle syndrome is a common disorder that is marked by acute pain and numbness in the legs and the buttocks. Read on to know all about this condition including its causes, symptoms, diagnosis and treatment. It is a neuromuscular syndrome that arises when the Piriformis muscle irritates or compresses the Sciatic nerve leading to highly discomforting physical sensations. This condition results in pain, numbness and tingling sensation in the buttocks and along the pathway of the sciatic nerve that travels down the lower part of the thigh and into the leg. The nerve also gets swollen and causes extreme discomfort while walking or performing other activities that involve the leg. Sciatic nerve pain can be occasionally felt in the lower region of the back. It may also be experienced down the thigh. The pain may be particularly experienced when you are climbing up stairs or even when you are seated. Tingling, numbness and chronic pain are the initial symptoms experienced in the buttocks and the adjoining regions of the body. In the later stages, these sensations may spread to other areas like the back of the calf, posterior thigh and lower back. They can turn worse when activities like running or thigh stretching are performed. The pain worsens even during sitting as it forces the sciatic nerve to press against the Piriformis muscles. Patients may also experience while standing up or during bowel movement. Men can feel pain in their scrotum and women in the Labia Majora. Irritation and pain makes it unbearable for patients to sit for extended duration. 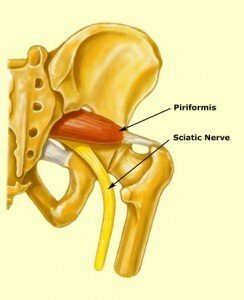 In patients of this Piriformis Syndrome Sciatica is common. This condition is primarily supposed to be a result of strain and stress of the sciatic nerve caused by pressure from the Piriformis muscle. This can happen due to the following reasons. Any time of trauma or stress on the region around the Piriformis muscles due to injuries or neuromuscular disorders can lead to this syndrome. Overactivity and stress of the hip flexors can lead to inactivation of the Gluteal muscles. Gluteal muscles are highly important in supporting hip extension and helping Piriformis muscles perform external femur rotation. People participating in exercise and sports activities are highly susceptible to overstressing of the Piriformis muscles due to constant postural movements. This muscular stress and strain can be countered by performing stretching and other exercises. Overstressing or stiffness of the Sacroiliac joints can put adjoining Piriformis and Gluteal muscles under extreme stress. Pronation refers to a rotational motion of foot that occurs at the Talocalcaneonavicular and the Subtalar joints. Excessive pronation during exercise or over-activity can result in over-twisting of the knee at the medial position more than is required. This turning of the knee is countered by the piriformis muscles. As the Piriformis muscles are not adept at handling such a high pressure, pronation can lead to the rise of Piriformis Syndrome. This condition may also originate as a result of weak abductors and comparatively stronger adductors in the human body. The diagnosis of Piriformis Syndrome is carried out with the aid of physical examination, analysis of the medical history of the patient and his habits as well as personal and social history. It is used to recreate pain with the aid of strained internal rotation of extended thigh. Also referred to as “Beatty’s Maneuver”, this procedure involves carrying out selective compression of the Piriformis Muscles. The patient is asked to lie on the table on his or her unaffected side and gradually rotate or move both the thighs in an upward direction. This imaging test helps reveal the problems that are associated with the Sciatic Nerve. This method involves reproducing pain by the application of pressure on the region where Sciatic Nerve intersects the Piriformis Muscles. 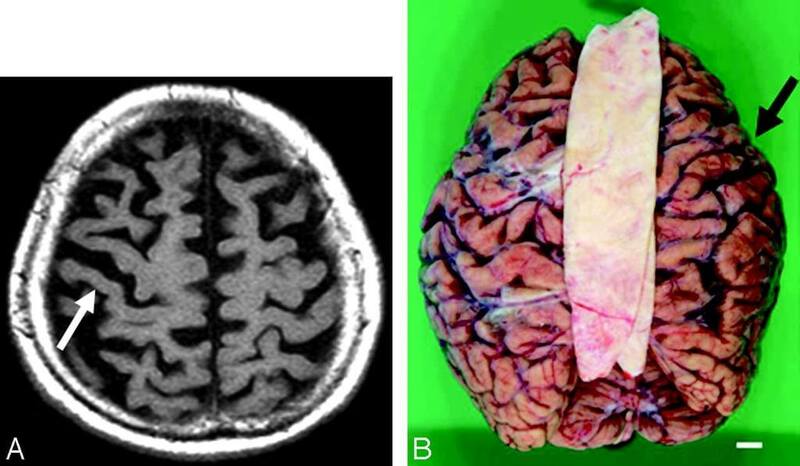 Reproduction of pain helps in diagnosis of this condition. In this method, the pain in the Sciatic Muscle is reproduced with the aid of external rotation of the Piriformis muscles. In patients with Piriformis Syndrome MRI scan can help detect an inflammation of the Sciatic Nerve. Once Piriformis Syndrome is established by diagnosis, doctors advise patients to get as much rest as possible. They are also advised to stop all activities that may put Piriformis muscles in stress. Medication, which involves Anti-inflammatory analgesics (pain relievers) and Corticosteroid injections in the affected Piriformis muscle, is aimed at relieving painful symptoms. Corticosteroid injection improves pain but is not always helpful in promoting healing. Exercises, massages, physical therapy and postural changes are also used to provide relief from pain. In rare cases where pain shows no improvement with medications or stretching exercises, surgery may be used to relax the Piriformis muscle. Piriformis Syndrome surgery is conducted only rarely and does not guarantee complete cure. In most cases, medical treatment is not extensive. This is the reason why many people seek cure from alternative medical practitioners such as Chiropractors (Chiropractic Therapists) who prescribe light stretching exercises for treating Piriformis Syndrome. Sit in a chair. Straighten your back and keep your left ankle over your right knee. Bend forward and hold this position for 10-15 seconds. Repeat the process for your other leg. This will help in improving the flexibility of the muscles in the hip region and provide relief from pain. It is the commonest exercise recommended by doctors for treatment of this condition. Stand straight in an upright position. Bend each leg to the sides, one at a time. Keep a distance of at least 2 feet between the legs. Stretch as much as you easily can. This will provide you with Piriformis Syndrome pain relief in the legs and the buttock. Lie down with your back on the floor. Cross your impaired leg over the unaffected one and pull it outwards. If done correctly, you will experience a stretch. Hold this posture for a few seconds to feel the effect. In Piriformis Muscle Syndrome stretches can be effective in reducing painful symptoms. If you experience symptoms of Piriformis Syndrome, you should get in touch with an experienced healthcare provider without delay. Ignoring the condition can only aggravate it and make you unable to perform your daily activities. Early diagnosis and cure can help you make a faster recovery from this discomforting disorder and get back to your normal routine in a short time.